Burma is undergoing a period of historical transition with the electoral victory of the National League for Democracy in 2016 representing a change after fifty years of military rule. 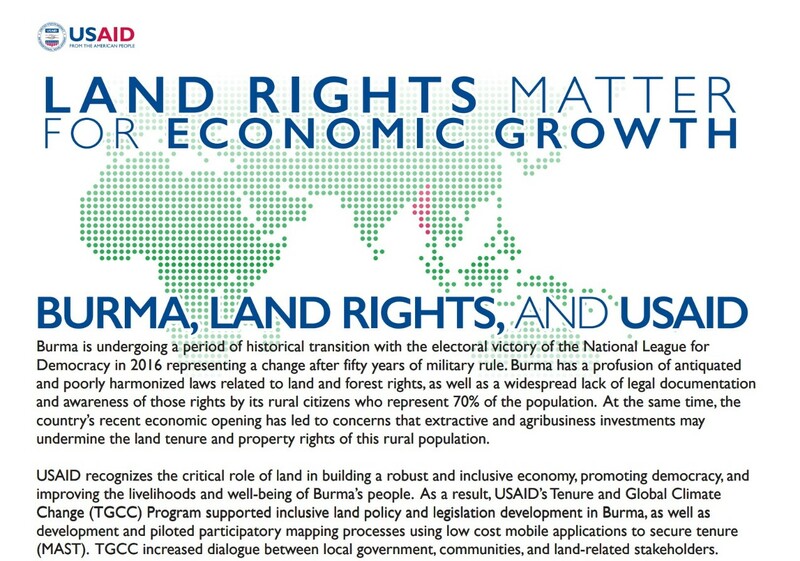 Burma has a profusion of antiquated and poorly harmonized laws related to land and forest rights, as well as a widespread lack of legal documentation and awareness of those rights by its rural citizens who represent 70% of the population. At the same time, the country’s recent economic opening has led to concerns that extractive and agribusiness investments may undermine the land tenure and property rights of this rural population. 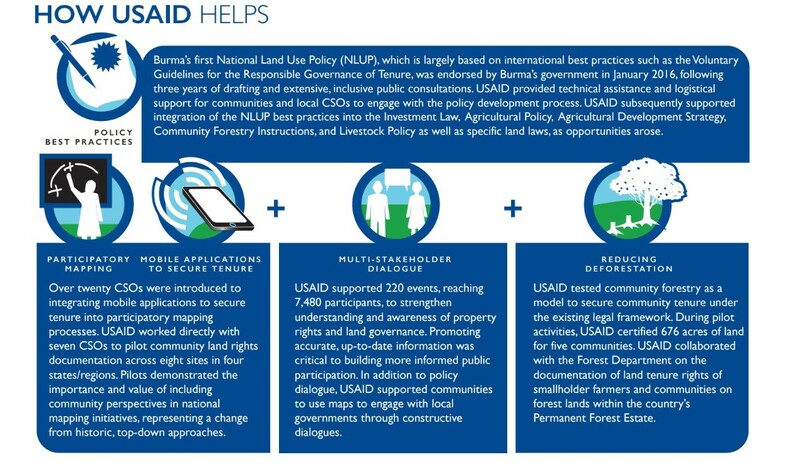 USAID recognizes the critical role of land in building a robust and inclusive economy, promoting democracy, and improving the livelihoods and well-being of Burma’s people. 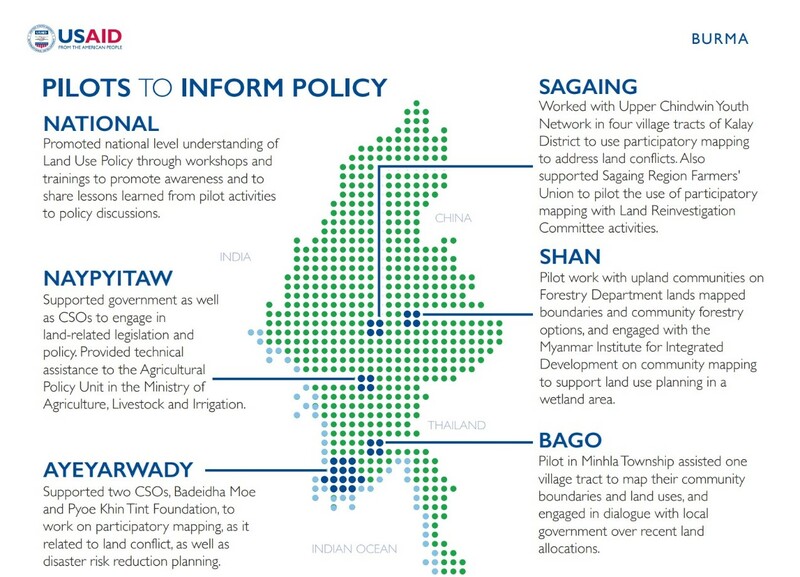 As a result, USAID’s Tenure and Global Climate Change (TGCC) Program is supporting inclusive land policy and legislation development in Burma, as well as piloting of participatory mapping processes using low cost mobile applications to secure tenure (MAST). 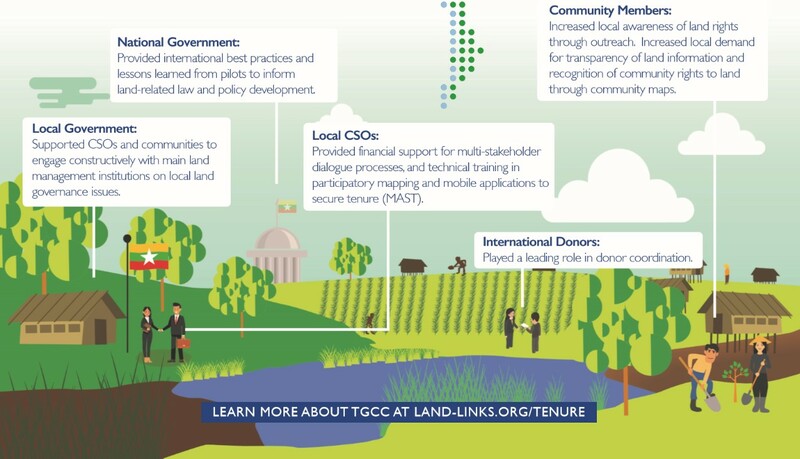 TGCC increases dialogue between local government, communities and land-related stakeholders.